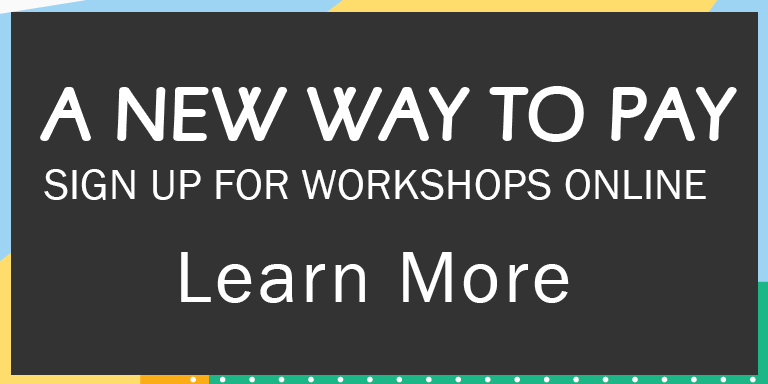 No need to leave your house to sign up for your favorite workshops! We are excited to announce online registration! 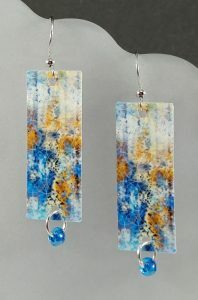 Starting today, you can visit our website colquittcountyarts.com and look for the workshop registration form under “Workshops” in the top navigation menu, or in the sidebar. We will be starting the roll out of this new feature with 3 different class options including Monthly Door Hangers, Last Thursdays Workshops, and our new Succulent Saturday taught by Devin McGee. These options were chosen based on demand and we will be offering more over time. You will be asked to create a password on the form. After submitting all of your details and signing up for a workshop, you will receive a confirmation email. Simply log in with your password and the email you created in the sidebar. Your details will be recorded so that you won’t have to re-enter them a second time. You can view the classes you have signed up for in “My Registrations” located under the login button. Only Paypal is accepted at this time. Don’t hesitate to give us a call at 229-985-1922 and ask for Kayce. She will assist you through the sign up process. Don’t like the online system? Registration is still available in our office! Just stop by 10 am – 5:30 pm M-F to sign up using a paper form.